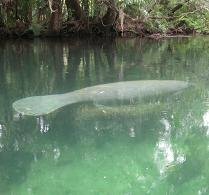 Rising water in Everglades threatens wildlife (Miami Herald). 114 Pit Bulls Taken in Possible Dogfighting Bust (13 News). Florida's wild freshwater turtles are being raided to meet demand in foreign markets (Orlando Sentinel). Ultralights Guide Area Whooping Cranes to Florida (WKBT). Growing up with the Florida Panther (Naples News). Suspended Animal Control Officer Resigns (Lakeland Ledger). People-Panther Guidelines Issued as Florida Panther Population Grows (Environment News Service).